Flat Hose Set 29971000 https://www.kaercher.com/ie/accessory/flat-hose-set-29971000.html The Kärcher flat hose set is the perfect addition to your pump. An ideal hose for pumping out dirty water from your flooded area. The Kärcher flat hose set is the perfect addition to your pump. An ideal hose for pumping out dirty water from your flooded area. The Kärcher flat hose set is the perfect addition to your pump. Providing a simple solution for your needs, compatible with all Kärcher pumps. 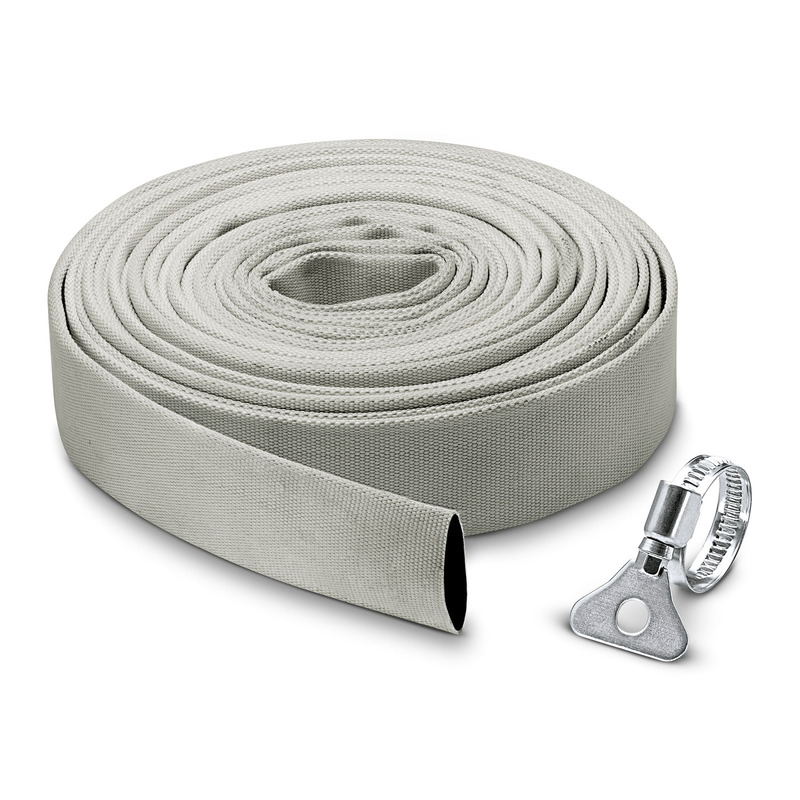 This hose provides a simple space saving solution being extreamly flexible, and able to roll flat. Coming in very handy when your home floods and you need to pump a large volume of water quickly. The 10m long hose is 1 1/4" and comes with a stainless steel hose clamp, 30-40mm, with a wing bolt for a tool-free connection. This hose can manage pressures up to 5 bar. Compatible with the SP3, SP5 and SP7 Dirt Inox pumps. Larger diameter for increased water flow. Flat Hose Set is rated 2.0 out of 5 by 1.